Hoping just to clear her mind, Alex Crocker leaves work for a late night run across the small city of Bristol, Massachusetts. Instead she is dragged violently into a feud she never would have known existed. She quickly learns she’s being hunted for possessing a gift she never wanted, one that could kill her or provide her the power she’ll need to protect herself and those she cares for. Despite her desire to maintain her independence, Alex quickly becomes tied to the Rectinatti vampires through bonds of friendship, loyalty, and most surprisingly, love. These bonds, coupled with the new knowledge that she is in grave danger are enough to make her want to stay, but it’s learning what is really at stake that drives her to fight. 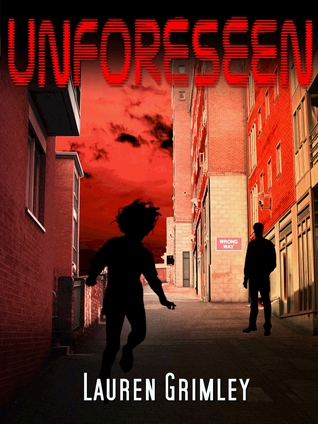 Lauren Grimley provided me with a copy of Unforeseen in exchange for an honest review. Thanks!! 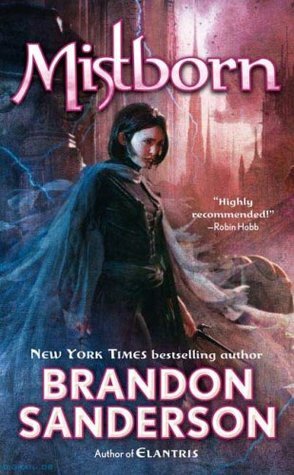 Now this was truly a great piece of vampire fiction, it had everything needed to keep me interested and ready for more. The writing is great, it’s strong and descriptive and really gives voice and life to the characters. It reminded me a bit of JR Ward’s style a bit but it’s not as aggressive in it’s delivery, it’s a bit more at ease and the descriptions are not as exaggerated. The plot is great and there is a good amount of depth and detail that goes into the world that really made me curious as to the things merely mentioned. Each character’s history is at least mentioned and I would really love to know more about Sage and Markus. I also would love to know more about the two vampire factions, the Vengetti and the Recenetti. There is quite a bit that is explained but I get the feeling that there is more than just a few instances of bad blood between them. Alex is a great main character and can really hold her own when she needs to. I loved the whole Seer thing, and I thought it was pretty cool the way it was incorporated into the story. 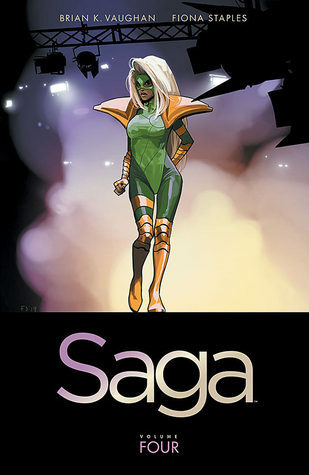 It really gives her story something unique and really felt bad for Alex, I mean who wants to be so in tune with other people that your own emotions get pushed to the side. Her personal struggle was very realistic and she never gets an easy way out. When the males were introduced I was immediately in love with all of them. Sage has a great relationship with Alex and their personal connection was awesome, even funny. He’s kind of the tough wise guy with a heart of gold, and his pesky ability to read minds leads to some rather humorous situations. Rocky seems like a rather down to earth kind of guy even if he’s a little to lax in his approach to the other, and I immediately wanted someone to stick up for him. He’s a great guy and I enjoyed having his past explained since it really gives insight on his personality. Markus is the character that takes the longest to get to know and he’s also one of my favorites, he’s a total Alpha but he’s controlled and calm so he gets major points with me. My favorite male is Darian, who I can picture with perfect clarity, he’s a great leader even if he’s a bit too controlling about somethings and I love the fact that he second guesses himself. Of course they all get brownie points of being awesome vampires who don’t force the fact constantly. I am quite curious about a few aspect of the story and I’m really hoping that there is going to be more after this because I’d love to read it. Overall I found this to be well worth my time and I’m super happy to have had the chance to read it, I totally recommend it to those out there looking for a great Urban fantasy or something similar to Black Dagger Brotherhood. Ooh very interesting. This sounds like a nice, fresh take on the classic vampire stories!